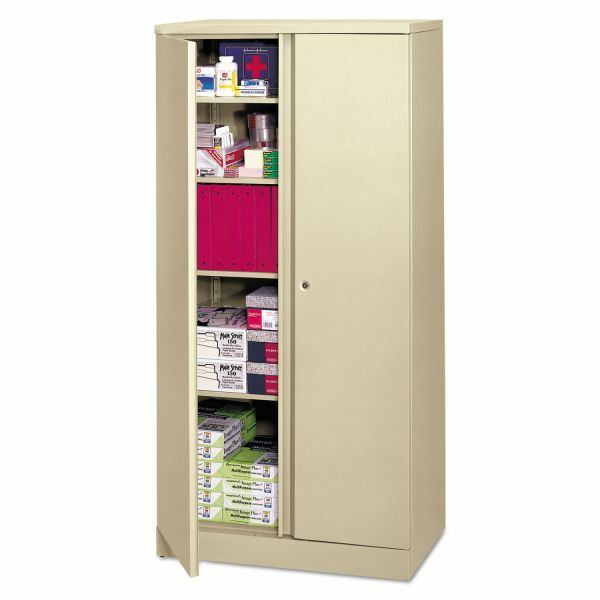 HON Easy-to-Assemble Storage Cabinet, 36w x 18d x 72h, Putty - All-metal construction for durability and reliability. Radius style pull complements any office environment. Lock is standard for added security. 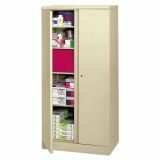 One fixed shelf to add rigidity and four adjustable shelves to adapt to changing storage requirements. Doors have full length stiffener channels for rigidity. Magnetic clips keep doors closed when in unlocked position.